We not only treat you, but build awareness on prevention as well. Read our blogs here. Get updates, ideas and information on oral health here. Understand the cosmetic teeth whitening options before choosing one. Dr.Latha sujit (MDS), An Orthodonstist residing in Dar-Es-Salaam,with an experience of 22 years is always available to attend the needs of her patients. Dr.Yusuf Mustafa(DDS) a dental surgeon specialized in surgical dentistry and Restorative dentistry.satisfies patients needs with excellent clinical and communicational skills. Dr.Vasudha Reddy(BDS) a dental surgeon specialized in Restorative dentistry and Cosmetic dentistry. We all are privileged to serve the people of Tanzania. ELITE DENTAL CLINIC LIMITED, TANZANIA. 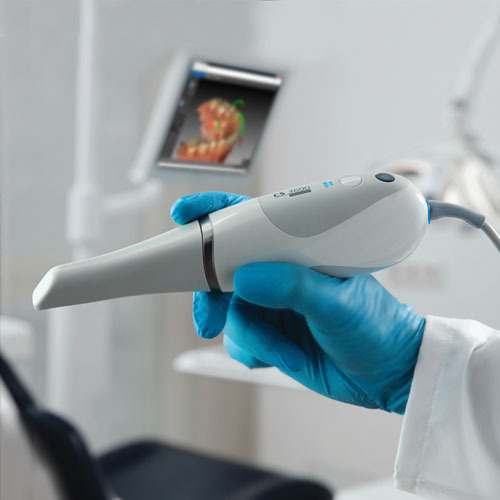 Introducing Caresteam Dental CS3600 , the cutting edge intra-oral scanning technology. With high speed, intuitive and accurate scanning, we have the power to create vibrant full HD 3D images—helping us achieve outstanding clinical results. One more addition to our clinical information technology assets, one more step towards predictable accurate treatment.